Attracting butterflies is easy when you grow plants that provide nectar for their food and host plants so they can laying their eggs. Our top 7 plants for feeding butterflies. Aster is an excellent fall-blooming plant that provide nectar when many other plants have stopped blooming. Monarda, commonly Bee Balm, are summer-blooming plants that not only does a wonderful job of feeding butterflies, it also attracts hummingbirds and bees. Buddleia, commonly called Butterfly Bush, produce colorful season-long blooms that not only attract butterflies, they also fill the air with a sweet aroma that tastes good enough to eat! Liatris, commonly called Blazing Star, produce colorful spikes that will feed the butterflies all summer long. Echinacea, commonly called Coneflower, will fill your summer months with colorful blooms that provide a rich source of nectar the butterflies cannot resist. Rudbeckia, commonly called Black-Eyed Susan, are easy to grow, late-summer blooming plants that butterflies find irresistible. Lantana plants produce numerous heads of vividly colored flowers that are highly attractive to hummingbirds and butterflies. Here is our top 3 plants for providing a place for butterflies to lay their eggs. Asclepias, commonly called Milkweed, is wonderful for both feeding and hosting. In fact, is the only plant where Monarch butterflies will lay their eggs. Dill is an easy to grow herb plant that many different butterflies will use as a place to lay their eggs. 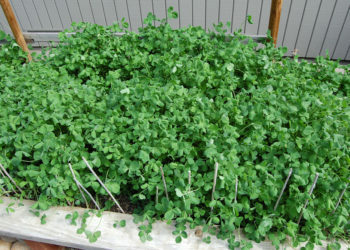 Parsley is another easy to grow variety that provides for a wide range of butterflies to lay their eggs. Over the last fifty years, the butterfly population has dramatically decreased because of habitat loss. The U.S. Fish and Wildlife Service currently lists more than a dozen butterfly species as endangered or threatened. What’s more, all species have been decreasing, mostly because the host plants they depend on have often been cut down or paved over. Consider the exquisite Monarch: the only plant it will lay its eggs on is Asclepias (milkweed). This plant is native to nearly all of the U.S., is hardy from Zones 3 – 9, and used to be found all over the place. Yet, today it is difficult for Monarchs to find, and their numbers have dropped to dangerously low levels. 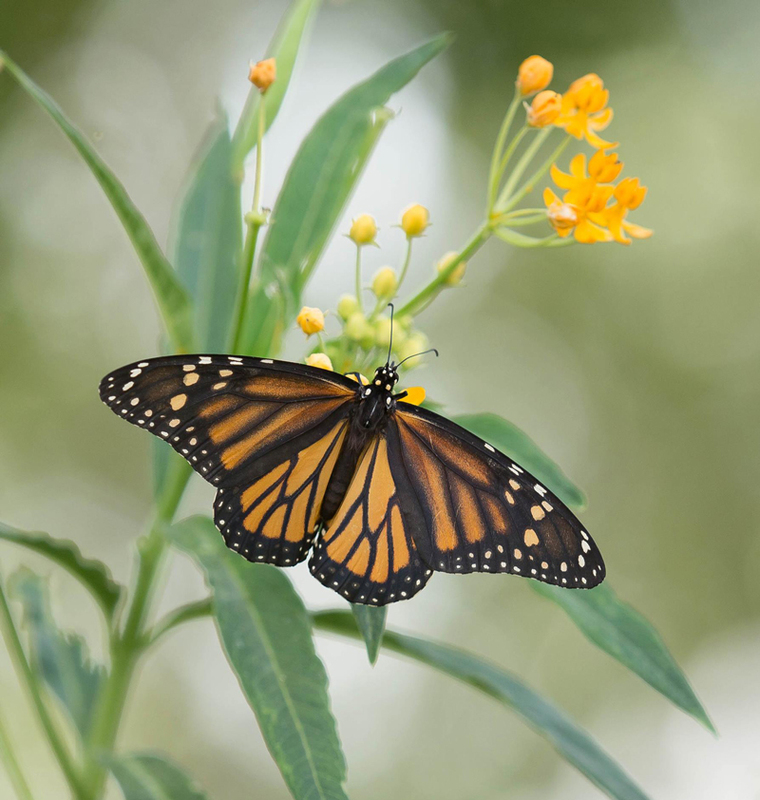 If you plant Asclepias in a region through which the Monarchs pass, you’ll be providing them with a nursery! Read how to attract Monarchs here. You might like to grow dill, parsley, and fennel for culinary reasons, but did you know that Black Swallowtail butterflies need them as a place to lay their eggs? 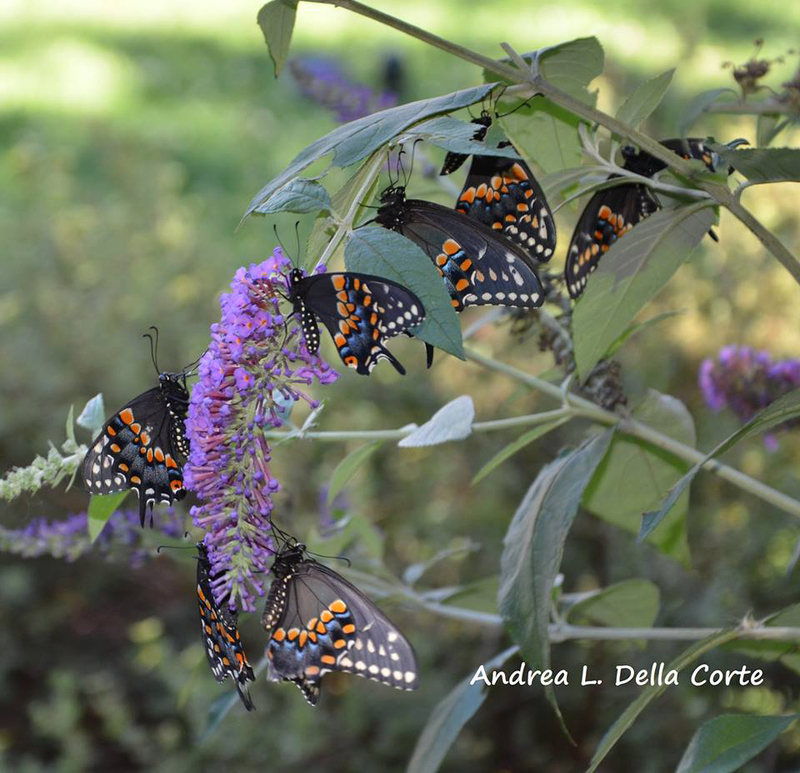 By including these plants in your garden, you’ll be helping the Black Swallowtails to be more plentiful. One thing to understand before you start planting is that butterflies and pesticides do not mix. Butterflies are very sensitive creatures and even natural pesticides and herbicides can cause problems and even kill the eggs they’ve laid on the host plants you’ve provided. Instead, when it comes to both the nectar and host plants, use the old-fashioned method of picking pests off by hand. You can also release ladybugs to go after the pests for you. That is what they do at the Smithsonian, and it will work for you, too. But be sure you don’t squish the larvae, thinking it’s an infestation of something pesky. 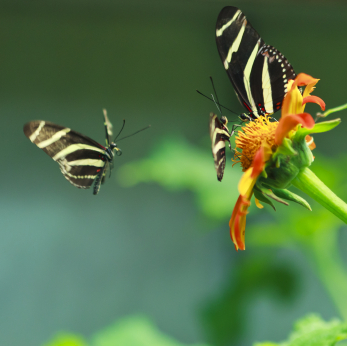 To be sure you know what butterflies look like at every stage of their development, watch this beautiful slideshow produced by the University of North Carolina School of Education. Provide the butterflies with opportunities to bask in the sun by placing a few flat stones around the garden. As for water, just keep your garden irrigated: the butterflies will use any tiny puddles as watering holes. If you live in a windy area, position your butterfly-attracting plants along a hedge, fence, or wall. And, again, be sure there is no pesticide or herbicide residue around the area where the butterflies are going to be eating and laying their eggs. As with everything else concerning gardening, there’s always more to learn. To view a comprehensive list of plants that attract butterflies, try Gardening for Butterflies, from Iowa State University. How to Make Butterfly Gardens from the University of Kentucky also contains a good list and a lot of helpful information. For a nice video introduction to the subject of attracting butterflies, check out this short video by P. Allen Smith. We wish you much success in attracting butterflies to your garden, and please don’t get overwhelmed by the amount of information in this newsletter. All you need to do to get started is to plant some butterfly-attracting plants in a sunny place and use non-chemical methods of pest control. Enjoy yourself, and know that your butterfly friends will appreciate your efforts. 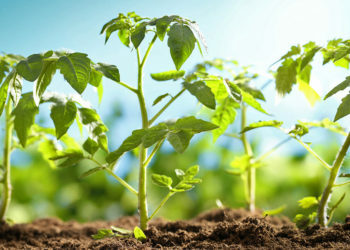 Top 10 Herbs For Container Gardening How Much Sunlight Do Vegetables Need? Beautiful! Thanks for thisvery helpful. The slide show and video are great additions.